Well, this entry serves to excuse me for this blog break. Housing changes, new projects, challenges and no time to enjoy the Pi right now. I only currently use it for my daughter and her neighbors to beat up bad guys in Captain Commando, Cadillac & Dinosaurs or Final Fight. Yes, that's what my dear Pi is for. Recently I renewed the hosting of the blog. So it will stay here one year more. I hope to have a little more time to the blog, but I want to give it another focus, because what I shared were mostly news that surely you would have read in other blogs that are updated more regularly. Anyway, if you want to comment something, if you liked this blog as it was with its weekly summaries, if you want to close it or talk about other boards, you can comment via mail or in this post, below in the comments. 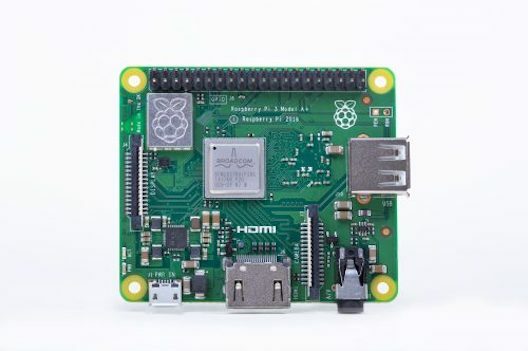 And now yes, I inform you something that you already knew for sure, that last November 16 a new model came out: the Raspberry Pi 3 Model A+.